The Giggles ‘n Stitches 4-H Club is a group of girls who love sewing and are learning how to sew better every day. They meet every month at the Auburn Town Hall where they discuss club business and work on their sewing projects. Every year, they participate in the Geauga County 4-H Style Review, the Geauga County Fair, and the Ohio State Fair. The club has about 20 members. In the first meeting of the 2012 season on February 18, the club members discussed projects for the upcoming year and various club and member awards received for the 2011 4-H season. At the next meeting on March 24, the members elected new officers. 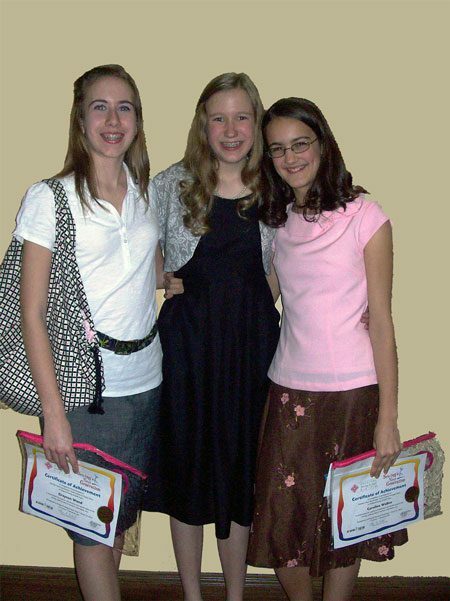 The 2012 Club Officers are: Betsy Sawyer, President; Graycen Wood, Vice President; Sarah Miller, Secretary; and Emily Walker, Treasurer. Susie Roberts was elected Junior Treasurer, Caroline Walker was voted Junior Secretary, and Sheila Roberts was elected News Reporter. Sarah Ward and Alexandra Weinhofer were elected Health and Safety Officers. On March 31st, Graycen Wood, Caroline Walker, and Sarah Miller, members of Giggles ’n Stitches, entered sewing projects to be judged, and they modeled in the fashion show at the Sewing’s Next Generation: Youth Fashion & Project Show at the I-X Center. In the 9-13 age category, Caroline won 2nd place and Sarah won 1st. The girls spent the day at the Sewing & Quilt Expo browsing vendor displays, attending a class on various techniques for achieving the best fit for garments, and watching a runway fashion show for new designers. Advisor Julia Wood accompanied them for this educational and fun day. 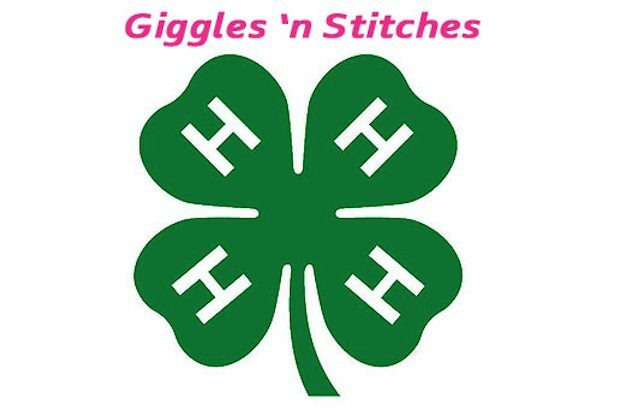 The Giggles ‘n Stitches club is looking forward to the 2012 4-H season. New members are always welcome to join. The next meeting is on April 28 at the Auburn Town Hall from 1 to 3 pm.